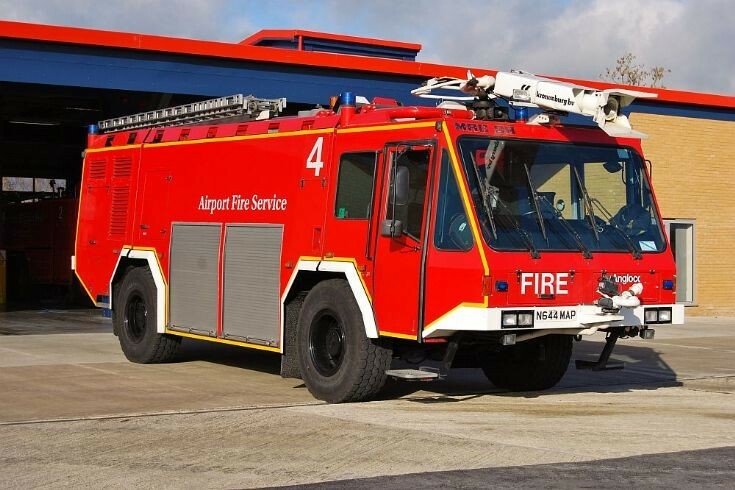 Fire 4 at London Biggin-Hill Airport in Kent is this former British Airports Authority (BAA) Saval Kronenburg MAC08 light foam tender. This is 1 of 4 identical units ordered by the BAA. This tender spent its operational life at London-Gatwick Airport.